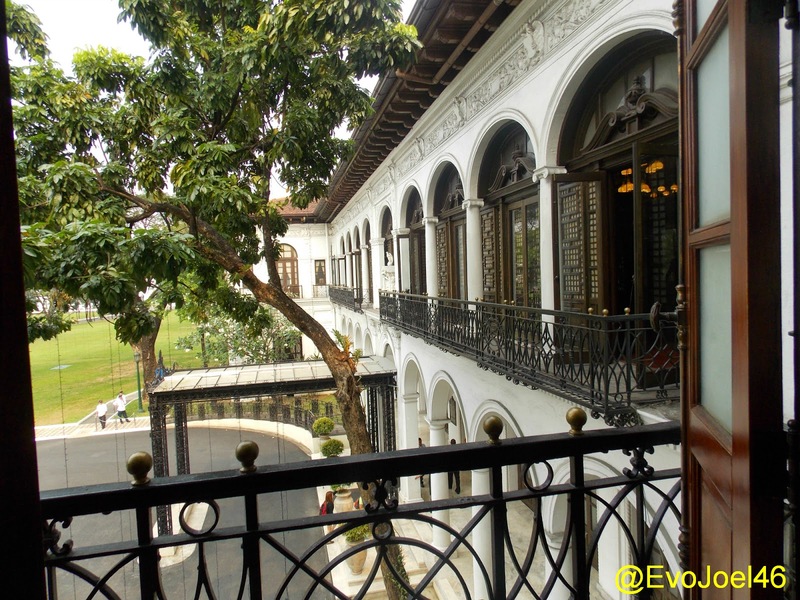 Evo & Grace: The WanderLusts: Malacañang museum today. A visit of a lifetime. 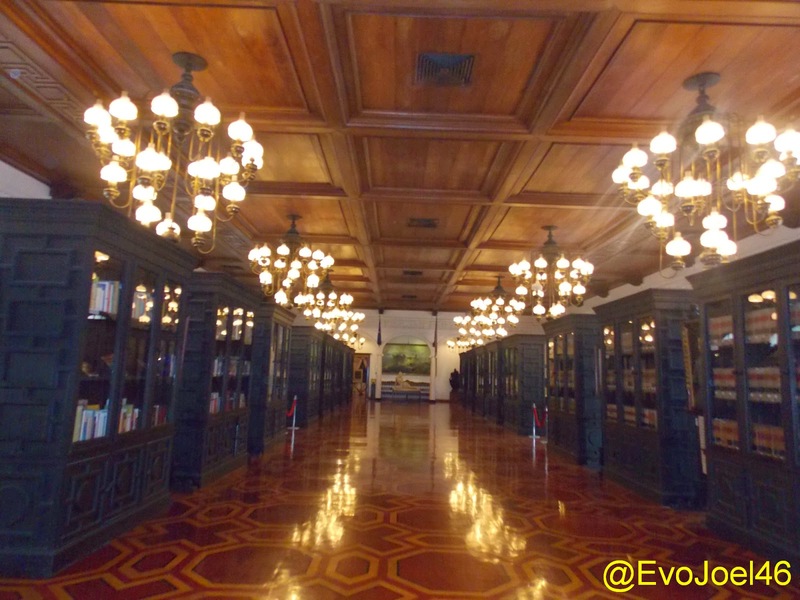 It was my co-blogger Rona Betran who pinches the idea that we visit Malacañang Palace, she never had a chance to set foot to the most powerful house in the Philippines. I got a chance to tour this Palace once in my College days in 1999 for familiarization tour, and in 2011 where I cover the Presidential pronouncement of Puerto Princesa Underground River, as one of the winner of natural wonders of nature in the world. Through a friend Deo De Guzman of RMN-DZXL, I humbly ask to arrange the said tour for our group and that was granted last January 28, 2015 at 1 in the afternoon. His Excellency Pres. 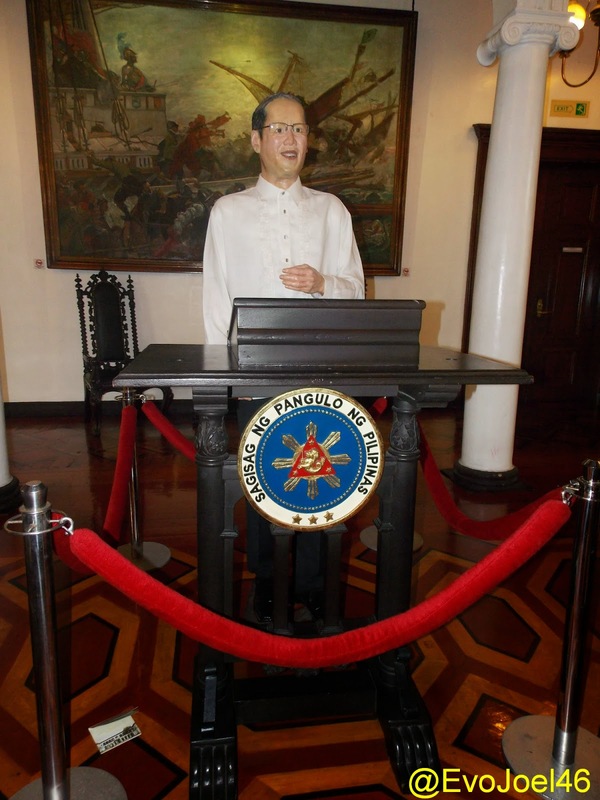 Benigno Aquino III, immortalized thru wax. Upon entering the Palace Ground, the first question I asked is where is the actual site that Pope Francis walked during his courtesy call to the Palace, they point to me his entrance up to the Palace in gate 6. I was watching the Pope’s visit in Malacañang that time in TV and I really wish I was there, because they were able to see Pope in a very close and very personal situation. We are directed to go directly to the Kalayaan Hall entrance of the Museum, but of course we pass certain security checking and we’re told that we are only allowed to use one camera for our group, there are limitations also in taking pictures like the entrances or gates to the Palace should not be photographed either. 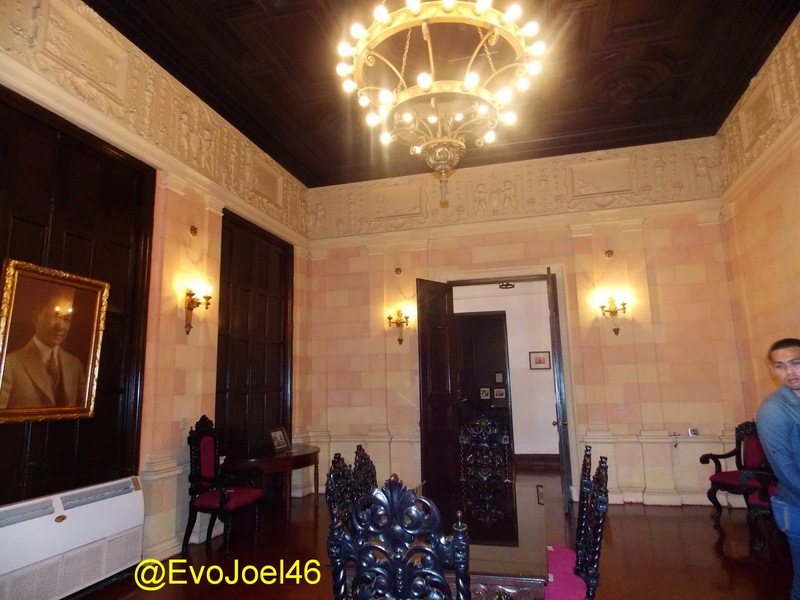 The first room we enter is the old waiting room, it showcases the start of every President’s career. 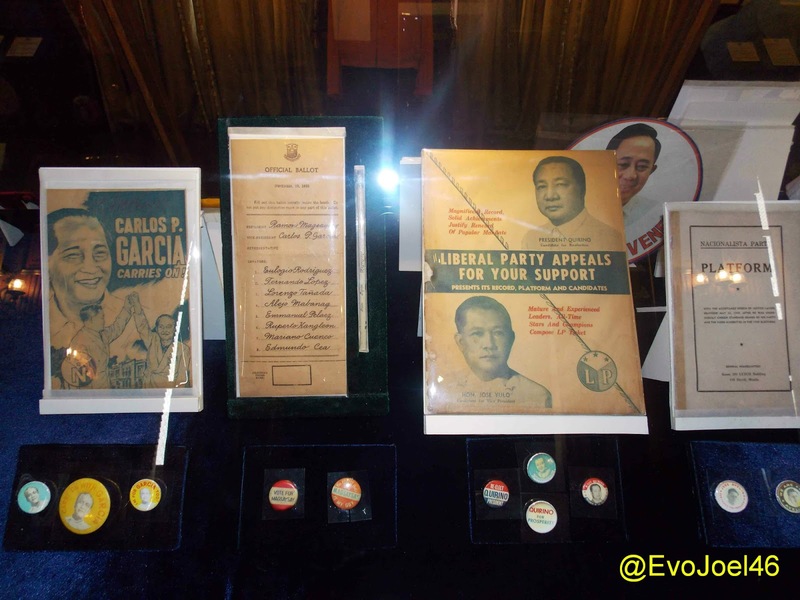 This room provides the materials use for election, campaign paraphernalia, and the result of every election that this Country has done historically. 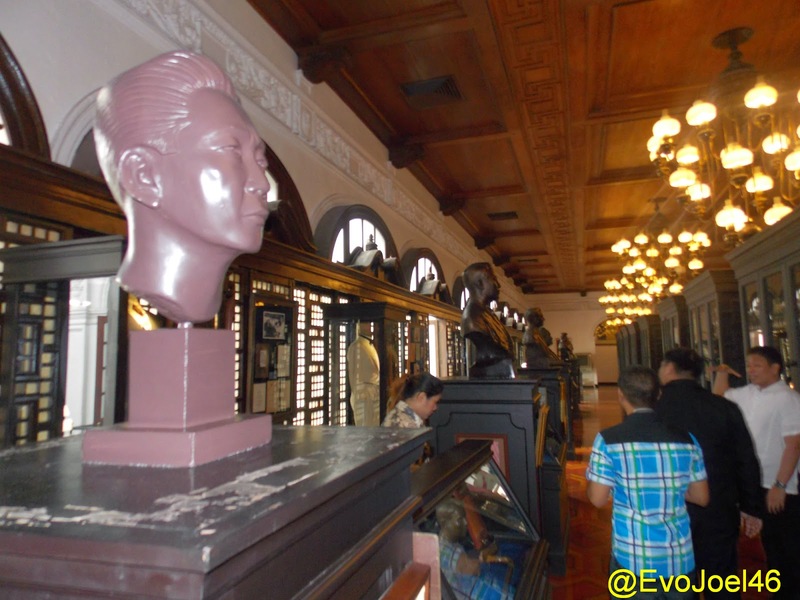 Through that room, we enter another adjacent room wherein the Museum re-creates the scene of President Ferdinand Marcos in his declaration of Martial Law, it’s not the original room but the tables and furniture’s use are all the same. And from that we move to different part of the Palace, a meeting place was introduce to us using century old tables that was used that time, and impressive collections art varies from statues, to painting to religious statue. 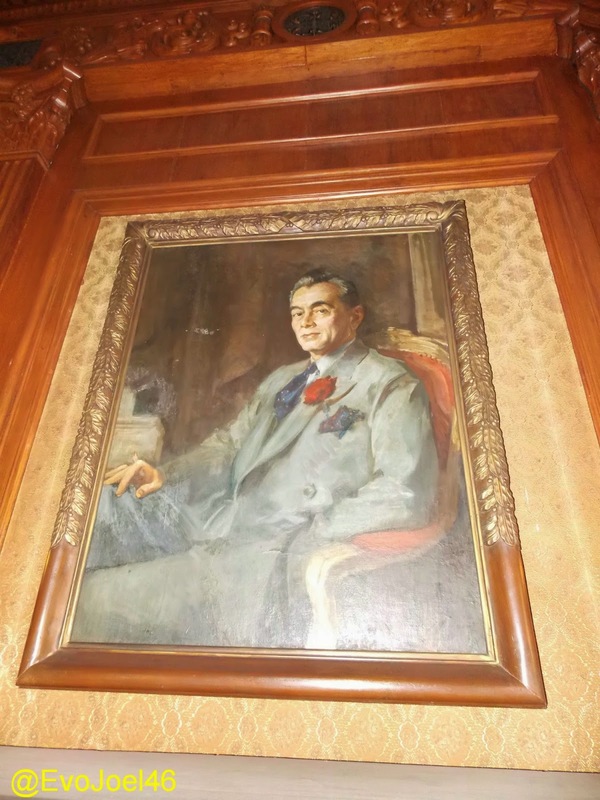 One thing I’m amazed, is the Quezon room, majority of his important memorabilia is there, and his portrait painting where I grow up seeing only in postcard, is actually there hanging in the section name after him. Mostly of his contributions are art collections including imported Chandelier. There is another room dedicated to First Lady, oil painting of all the wife of the President by Lulu Coching is being presented here, a bust and some memorabilia. 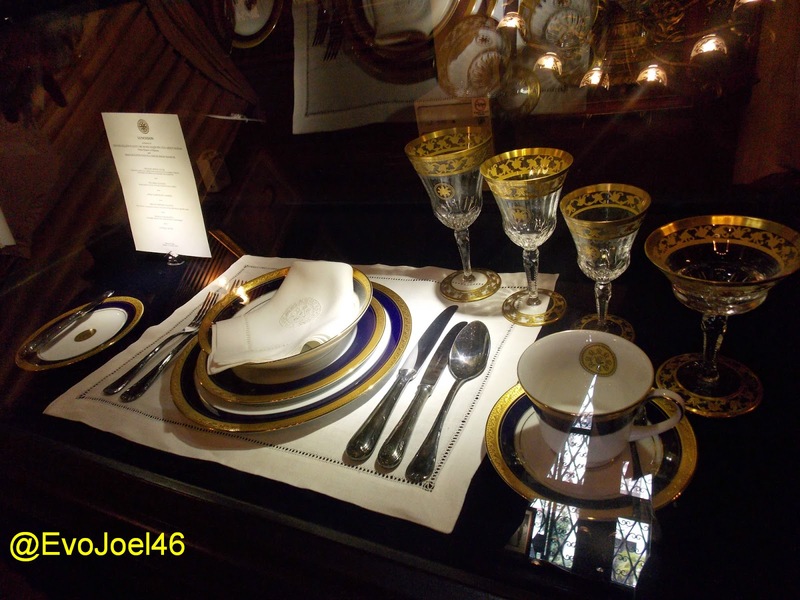 It’s in this room where we see the table set for any state dinner, where in golden plate, spoon and glass is used. 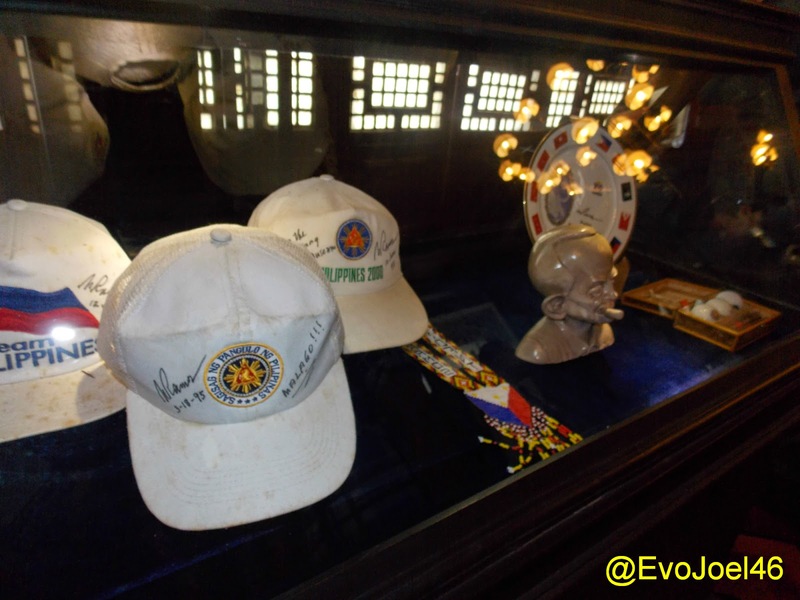 But the highlight and major portion of the museum is the ballroom part, where in personal memorabilia, and personal stuff of past president are being exhibits such as their books, dresses, shoes and personal notes and letters as well. 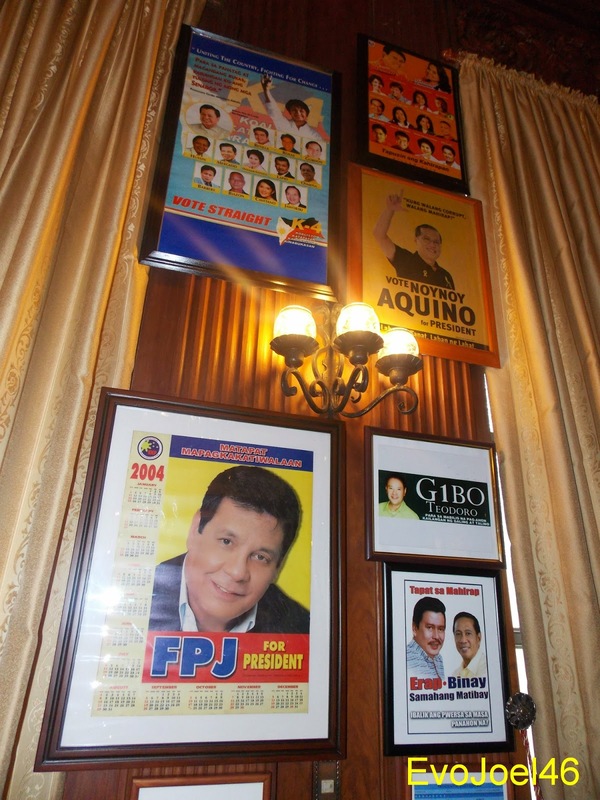 This ballroom used to be the dance floor of first Lady Imelda Marcos during their time in the Palace. 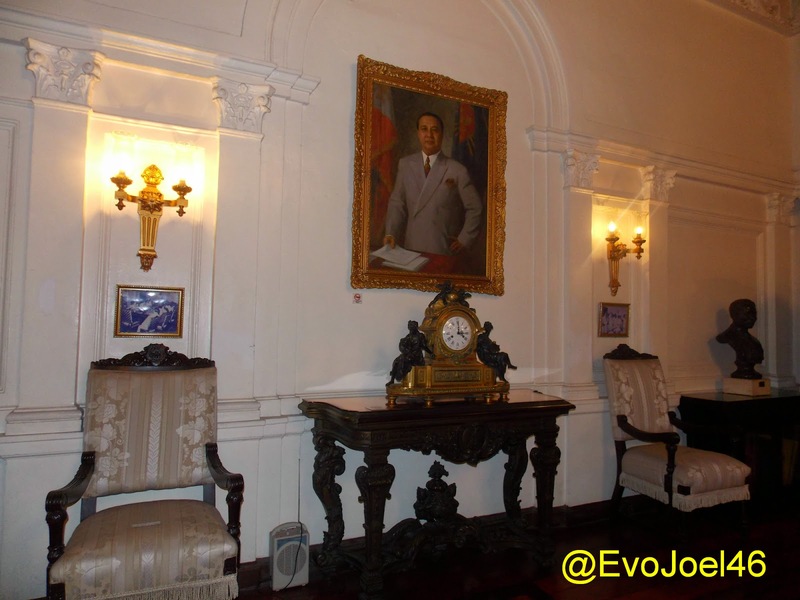 There is also Cory’s room since she is the mother of the current President of the Republic, and an exact wax replica of Pres. 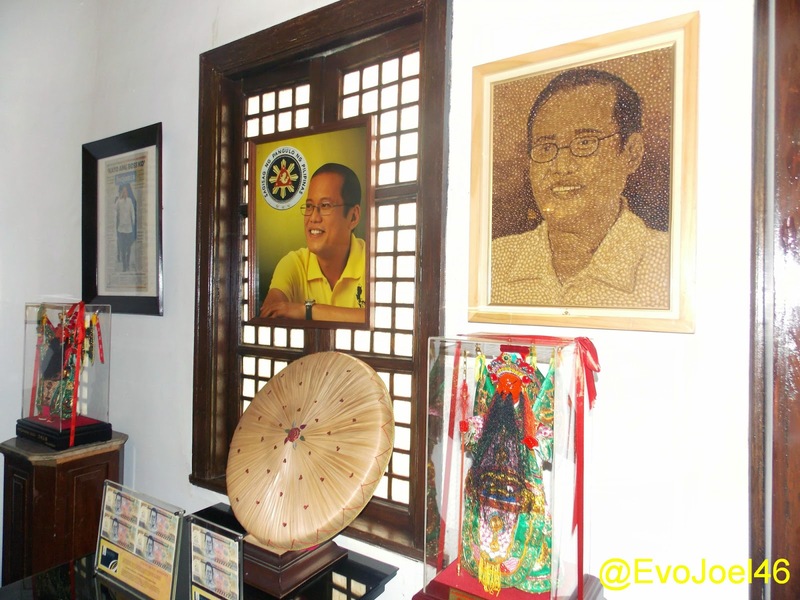 Pnoy is also the main attraction of the ballroom. The last stop over is the old Press room of the Palace at the ground floor. 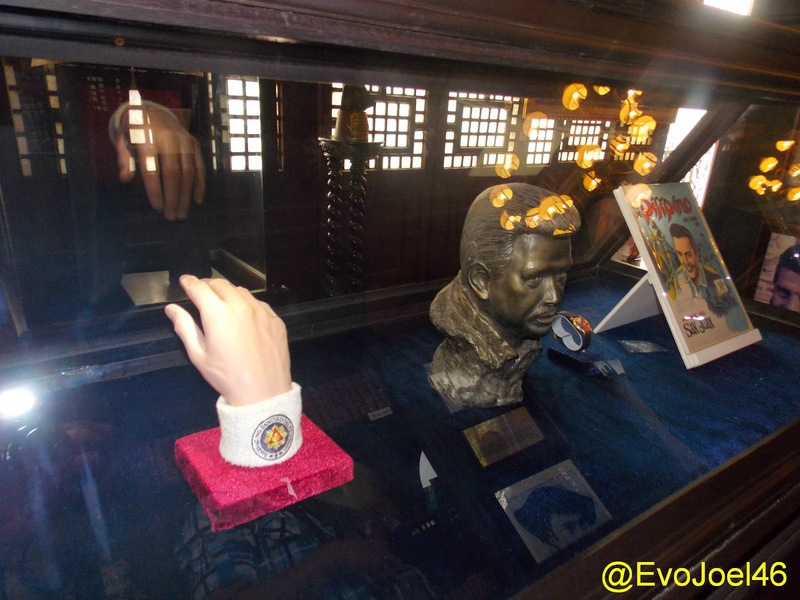 There are many changes already in the museum compare to the last visit of mine, I miss the part wherein they show the looks of each bedroom of past Presidents, and the vast collections of gifts from foreign dignitaries that visit the Palace. Well I guess they are changing it depends on the time needs, and whoever sit in the highest position in this Country upon his vision and command. 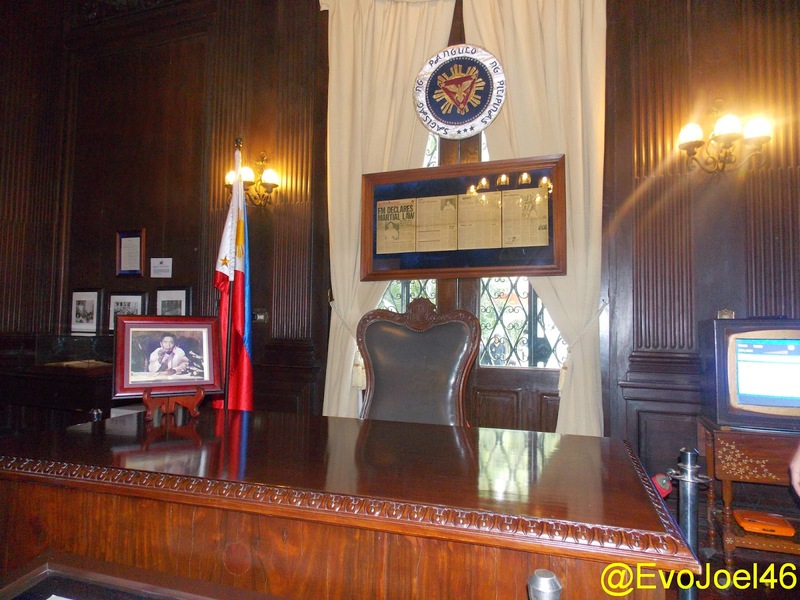 The Vice President's office in the Palace. 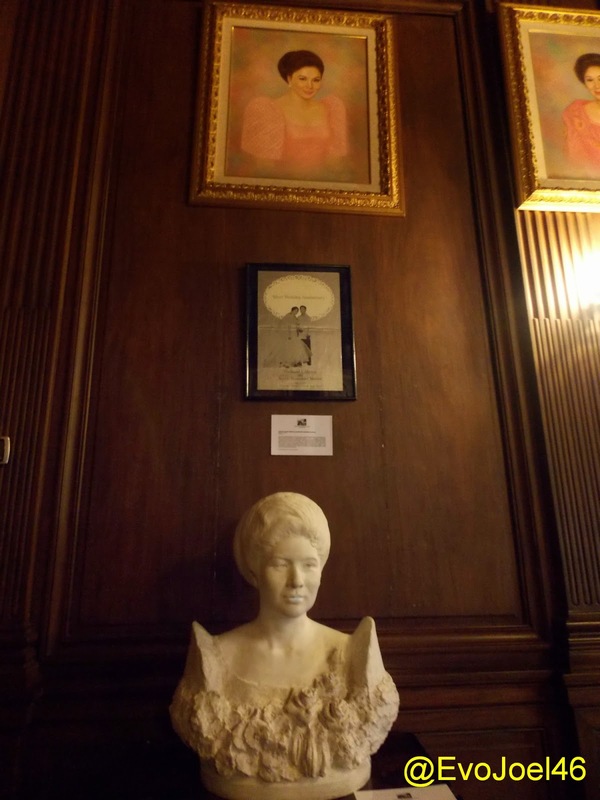 Madame Imelda bust and painting. 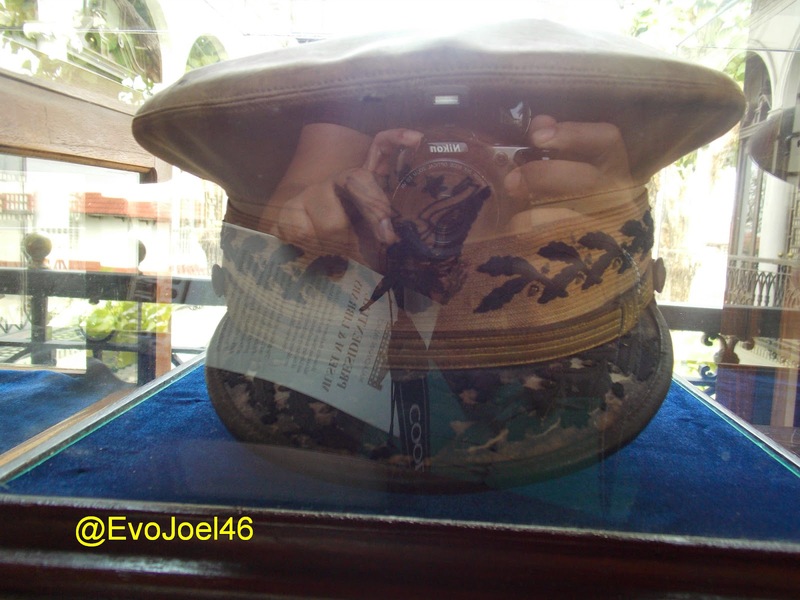 Gen.Douglas MacArthur hat during Leyte landing. 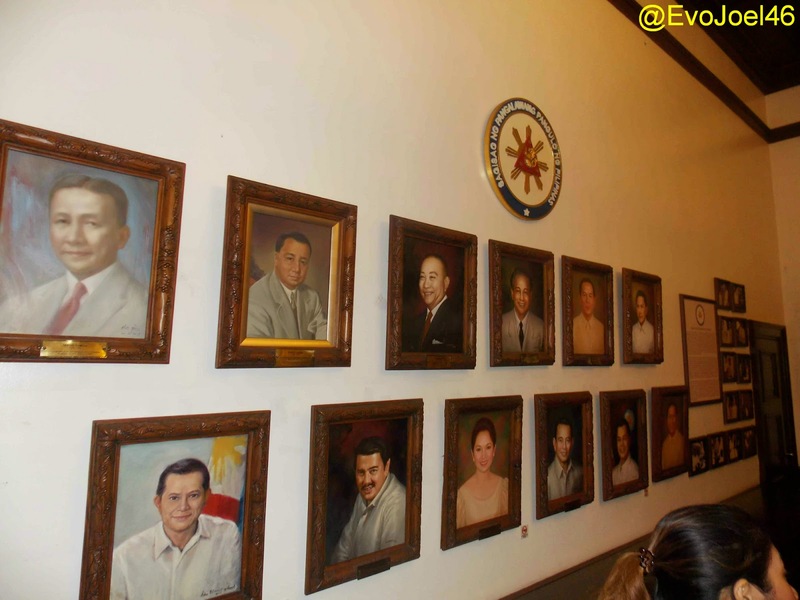 For those who are planning to tour the Malacañang Palace museum, schedules are Monday to Friday only from 9am to 3pm. 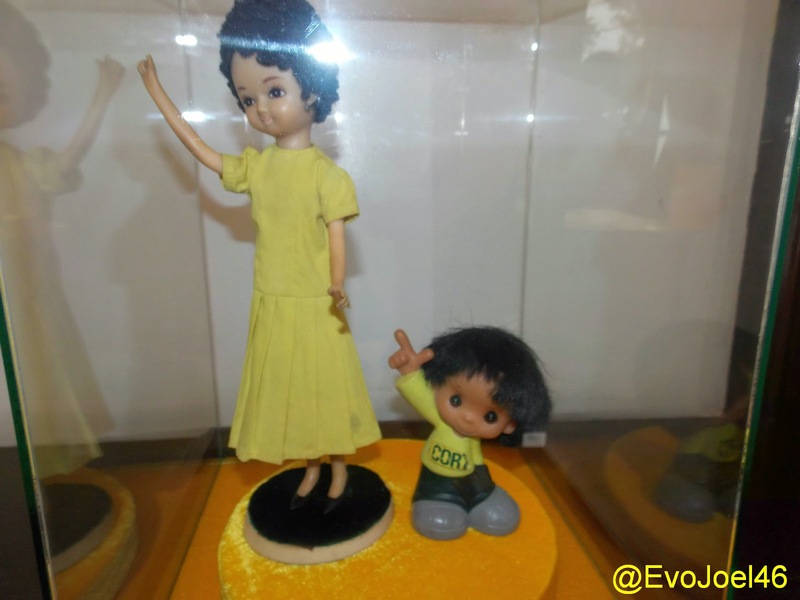 Admission price as of this posting is P50 for adults and P30 for kids. There is a reservation form that you have to accomplish and submit to the Palace at least seven working days before your desired date of visit. Walks ins are not allowed per see. 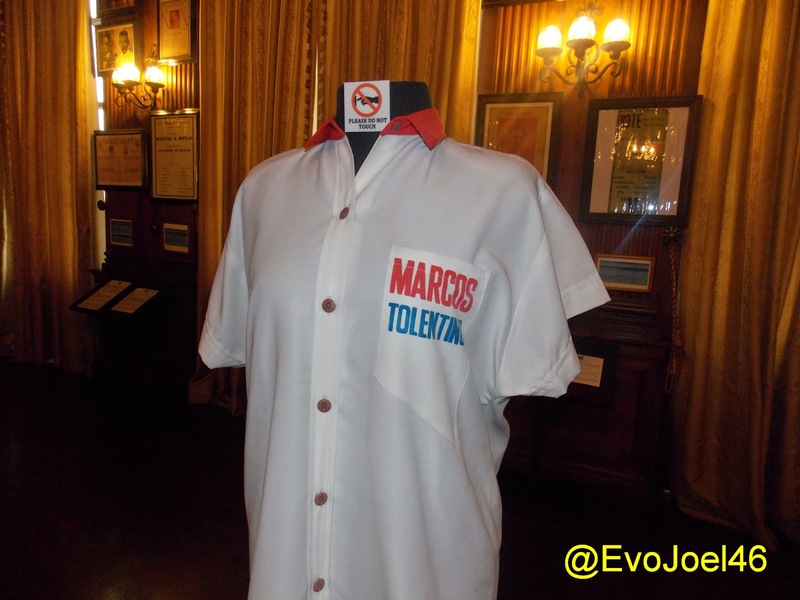 Dress code is also implemented such as Maong pants, slippers, sandals, sando, rubber shoes are not allowed to enter the Palace.